I created all of these video games from scratch, finding or building every component of them to help me learn more about video game design. Feel free to download and play them, as they are all files for a desktop version of the game that I have created. If you would like to play the game itself, feel free to download the zip version!! I created this game in the Unity game engine, and built it from scratch with the help of a Udemy course. While building it, I introduced a couple of my own ideas to make this game unique, like an "impossible" level and a random level generator. In addition to these ideas, I also created all of the sound effects, which was mainly recordings of ice breaking and "clinking" in a glass that I then heavily processed. Feel free to download the Mac version or the Windows version here! 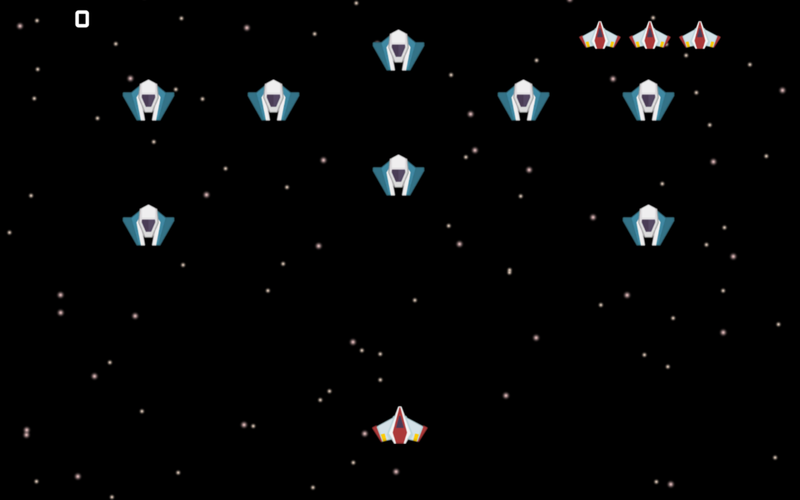 Built using Unity, this game is a Space Invader style, 2D space game. The objective of the game is to try and get as many points as you can by clearing out waves of enemies. I designed/built the entire game using Unity, adding my own unique ideas to the game to help me learn how to use the game engine. This can be seen in various parts of the game like the choose-your-sprite menu or the "Bounce Mode" that I implemented, both of which helped me learn how to create menu systems in Unity, as well as program static variable and manipulate individual components of a gameobject. In addition to this, I also created all the sound design, which was all done by manipulating and layering sawtooth waves.